Possible reason for low PS accuracy could be that, but in DS I think I need to apply critical thinking skills better. 2. Verbal Performance Analysis - I'm struggling with SC questions in the 700-800 range. And I can't seem to figure out a way to go to a 42-43, despite being in the 39-40 average range usually. In the last test, I did horribly on SC, with a success of 50%. I can't help but feel that this was poison for my Verbal score, given that I got a total of 27 out of 36 questions correct. Of the 9 incorrect, 7 were SC questions!! For SC, the obvious solve seems to be 'read more grammar rules' but I would like to know if there are strategies to approach questions, just as there are strategies to approach CR and RC. 3. Overall analysis - I need to better manage my time. Always end up in a situation like 2 minutes 2 questions, 5 minutes 3 questions towards the end, with higher difficulty questions. I really want to see a score of 720+ in my next mock to feel a bit more confident. It seems like I'm as prepared after 6 weeks as I was when I was unprepared. 2. Suggestions for a trustworthy and comprehensive resource for SC, strategies to approach SC questions, and recommendations for practice question bank. Originally posted by variantguy on 19 Mar 2019, 23:18. Last edited by variantguy on 21 Mar 2019, 01:36, edited 1 time in total. 2. Suggestions for a trustworthy and comprehensive grammar resource for SC, and recommendations for practice question bank. You seem to be quite close to your target score. To improve your scores in verbal especially SC, you can consider e-gmat verbal online or the e-gmat verbal live course. They are both amazing courses especially designed for non-natives. They offer almost 25% of their courses for free so you can try out their free trial to decide which one you want to go for. Plus the e-gmat Scholaranium which is included in both the courses is one of the best verbal practice tools in the market. You can easily track your progress in that you can identify your strengths and analyze and improve on your weak areas. You ask a lot of great questions, but I’ll focus on Data Sufficiency and time-management. So, regarding how to improve in Data Sufficiency questions, I agree that you need to adjust how you approach those questions versus how you attack problem-solving questions. For example, you need to understand that Data Sufficiency questions do not have to be solved out to the “bitter end.” Take a look at example 10 here. Notice that the goal of the problem is to determine the mean grade for the left-handed students. If you look at the solution for statement two, it’s clear that we can determine the value of L well before we actually do. So, taking that mentality when solving DS questions should greatly help your accuracy and your timing. There are definitely certain nuances or traps to be aware of when solving Data Sufficiency questions. One of those traps is the dreaded “C Trap.” In C-trap questions, you’ll be baited into choosing answer choice C because C so clearly and obviously seems to be the correct answer; DON’T TAKE THE BAIT!! For instance, take a look at example 9 here. Upon first glance, choice C seems like a logical answer, right? Yet, if you properly attack the problem, you’ll see that you can determine the value of x using statement one alone. Once you further develop your general Data Sufficiency skills, whether you correctly solve DS questions will be based more on your topical knowledge than on anything else. For example, if you are given a DS question testing you on “units digits,” such as example 1 here, and you are not skilled in working with units digits and do not know that the base of 7 has a units digit of 1 when raised to an exponent that is a multiple of 4, then how can you expect to correctly answer that particular DS question, right? Thus, to improve, you would have to spend time reviewing not Data Sufficiency concepts but concepts related units digits patterns. In summary, yes, there are some general Data Sufficiency skills that you could use to avoid being trapped or wasting time doing unnecessary math. At the same time, if you thoroughly master each GMAT quant topic, then you should not have any major issues with Data Sufficiency questions. That situation would be insane, right? No qualified running coach would ever provide you with that advice, because the coach would understand that no one gets faster merely by trying to run faster. Instead, the coach would set you up on a linear, comprehensive plan to make you a BETTER runner. He may have you run progressively longer distances at relatively slow speeds. He may have you run up and down the stairs at the football stadium. He may have you run up and down hills. He even may have you engage in strength training, yoga, or Pilates to make you a more fit athlete. After all of that training, he finally would bring you back on the field and time you running the mile. At that point, he’d coach you on how to push yourself through the pain of sprinting and help you to understand what a four-minute-mile pace feels like. He now could help you with those things because you would be in the necessary shape to be receptive to them. So, you begin your run, and BOOM! You run a 6-minute mile. What happened? Well, you became a better runner. You became a fitter athlete. You became stronger. Although you’re not yet at the four-minute-mile mark, your training has yielded considerable improvements. Now imagine your goal were to play a complicated song on the piano. The tempo at which a pianist plays greatly impacts the way a song sounds. To make songs sound the way they should, often a pianist must play at a fast pace. But your experience with the piano is limited. Can you imagine trying to play the complicated song at full speed right at the outset? Doing so wouldn't be possible. Instead, you first need to master many aspects of the piano -- without really trying to get faster. In fact, you need to proceed slowly at first, sometimes very slowly. As you master the piano, you find that you’re able to play your song at progressively faster tempos. With time and dedicated, proper practice, you’re able to recreate the sound you seek. If in the early days of practicing you had tried to force speed instead of mastering your technique, you never would have become truly accomplished at playing the song. The researchers traveled into the rainforest to observe monkeys while swinging through the trees, using their hands, feet, and tails. Looking at this question, a test-taker might quickly see that choice (B) can be eliminated because the sentence it creates has no main verb, and that choice (E) can be eliminated because it conveys the nonsensical meaning that researchers had the goal of swinging through the trees (and had tails). Having eliminated those two choices, the test-taker could end up using a lot of time cycling through choices (A), (C), and (D), not sure what is wrong with any of them. A person who has studied modifiers knows that, when an “–ing” modifier is preceded by a comma or preposition (such as “while”), that “–ing” modifier targets the preceding subject-verb combination. So, a person with that knowledge would quickly recognize that “while swinging” in (A), and “swinging” preceded by a comma, in (C), target the subject and verb of the preceding clause, which are “researchers traveled.” Thus, (A) and (C) convey the illogical meaning that the researchers were swinging through the trees, using their hands, feet, and tails. Therefore, the only choice that works is (D). Although this is just one example of many, you see that you must have many tools in your toolbox to efficiently attack each GMAT verbal question that comes your way. As you gain these skills, you will get faster. Lastly, if you feel you need some additional prep materials, check out the GMAT Club reviews for verbal courses, and also read through some GMAT success stories to see what materials have worked well for other test-takers. You also may find it helpful to read this article about how to score a 700+ on the GMAT. What types of mistakes are you making in SC? I'm sure that you're aware that SC tests more than just grammar. Hi variantguy! Since you refer to grammar resource, thought I would mention that the entire Grammar section of our book Sentence Correction Nirvana is available for free preview at pothi. Having said that, as Ajitesh points out, Sentence Correction is not just about grammar; as you would appreciate, grammar is just a means (a tool/enabler) to an end (depict the meaning). If we don't understand what the end (intended meaning) is, what grammar would we use? Thought I would mention that our sentence correction book Sentence Correction Nirvana is perhaps the only book that offers a score improvement guarantee, and is especially designed for non-native speakers. If you want to sample a chapter before deciding to go ahead with our book, please PM me your mail-id (along with the chapter that you would like to sample) and I will be happy to send that chapter to you by mail. Really appreciate you taking time out to respond. I will definitely check out the resources you've mentioned. I'm already using some of them - GMATClub tests, especially to improve my Quant confidence. - In terms of Mocks, I was at a 1 mock a week frequency (usually a Saturday morning - this is the day and time I intend to give the actual exam as well). I am working full-time so giving a Mock on weekdays isn't possible. I intend to increase my mock frequency to one each on Saturdays and Sundays, for the same reasons as you mentioned - constantly gauge weaknesses and work on them, and build test endurance. Do you think this would be a good idea? - I didn't have to purchase any test series so far, but now I'm planning to buy MGMAT, as from what I've heard their CATs are slightly on the tougher side, and I can live with 'bleed in training so I don't bleed in war' kinda thing :P I also like the in-depth analysis and the interface of Manhattan's software. But from your experience, would you suggest the same or otherwise? - From what you seem to be hinting at, and from others on the thread have mentioned, 'meaning making' seems to be the core of acing SC. I agree, and that's my general approach towards writing (I'm in marketing so there's a fair bit of writing involved in my daily work). However, when it comes to reading and SC, sometimes I feel that that approach isn't enough for me, and leads me into an analysis-paralysis situation. I think it happens because I don't quite as yet have a grasp on all the finer nuances of grammar and construction. - In terms of type of mistakes : Most of the mistakes are in modifiers, SV agreement. There's a few mistakes here and there in terms of tenses or idioms, but generally not a problem area. Another pattern is that in a lot of mocks I have switched from the right to the wrong answer in SC questions (some post-test analyses have this feature). I don't know what to make of it, except that it could be the analysis-paralysis situation I mentioned above. I would like to know how to deal with this, if you'd have any advice. Here's the thing: you're regularly getting verbal scores that, on the actual exam, would put you in the top 10 to 15% of all test takers. And in your latest (official?) practice test, out of the 9 questions you got wrong, 7 were SC. It's possible that this is because you aren't good at SC, just as it's possible that you are completely unaware of many of the basic concepts that SC tests, but it is not likely. Even if that were the case, I don't think it'd take you too long to pick the concepts that you need for GMAT SC up. What you say about "analysis-paralysis" and switching answer choices makes me think that this has more to do with your approach. Maybe you're overanalyzing the questions you see. Maybe you're not sure about the relative importance of the different rules you know. I suggest that you go through all the mistakes you made on your GMATPreps (both of them, as your last test could have just been a one-off) once again and check whether you were aware of the concepts used to remove the incorrect options. That'll give you a pretty good idea about what's going wrong in your SC (concepts/application). 1. Find a good resource to study SC from. Try not to pick up more than one. 2. Review all the concepts from there. Pay extra attention to whether a concept leads to a "sure" call or not. 3. Maintain a list of concepts and questions (that you found difficult) to review periodically (say, every week). Once you're comfortable with something, take it off the list. - In terms of type of mistakes : Most of the mistakes are in ...SV agreement. This is a bit surprising. SV Agreement is really the most basic and the most binary split. In fact, we always suggest that when students do a vertical scan of the five answer choices and find SV-agreement being tested, this really has to be the first split that one needs to use, to eliminate incorrect answer choices. There really are just a couple of frameworks in SV agreement that need to be mastered. Very curious now as to which resource(s) have you been using for your SC prep? I am not so sure about my SC approach so I think you might be onto something when you mention relative importance of different rules. I usually get stumped in long sentences that have multiple errors to be dealt with. I'll do the analysis you mentioned, and see where I am going wrong. Thanks for the prep suggestions, #3 seems like a good thing to do. Would you have any suggestion for a good resource to study SC from? I am not an entirely disinterested party here, so I'm going to point you to this post. I don't agree with everything in that post, but it will give you a pretty good look at some of the choices you have. 710 is a good score to start with. Many students have overcome score plateau in the past. You too can learn how to improve your GMAT score from a score plateau. The good thing is you have enough time in hand to improve from a 710 to 750. Learn how Priyansh improved from 710 (V34) to 760 (V42) in just 1 month and secured an admit from Darden with full fellowship. With a 710, you have decent understanding of concepts. The thing that you need to focus on is improving the application process. A step by step and methodical approach can help you replicate the success in every question. You can learn more about how Ashray improved in DS questions by following a structured approach. A systemic approach will bring consistency in your performance. Same goes for GMAT SC. It is not all about grammar rules. Following a meaning-based approach will help you tackle the toughest of questions with ease. Learn how Anuj leveraged this approach to improve from V36 to V44. To get a detailed idea about the same I am sharing few free resources with you. You can get access to a lot more of these videos and practice questions once you sign up for the Free Trial. Time Management is as important as developing subject understanding. You need to choose the right questions to spend time on and skip questions strategically to score the maximum possible using your current abilities. Learn how to effectively manage your time in GMAT. 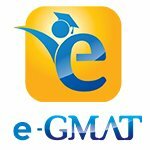 If you need further help with preparation you can reach out to us at support@e-gmat.com or PM me, referencing this post. Thanks for sharing the resources and advice. I will definitely check out the different links you've mentioned. And yes, I'll be attending today's webinar on SC. Thank you for the detailed advice. What you said about DS makes sense, and this was one of the initial challenges that I was facing - trying to go the last mile on a DS question when the answer could be arrived at with lesser effort. This was definitely hampering my efficiency and leading to time lost. However, my recent challenge with DS seems to have swung to the opposite end. Since I'm trying to be cautious about not doing 'too much', in a few questions my analysis ends up being rushed, incomplete, and hence incorrect. I'm trying to work on this and work each DS problem to the 'optimum level'. Thanks for the advice on Time Management, the example definitely resonates since I'm into long distance running! I agree that there is a fine line between “knowing” when you have enough information to solve a DS question and being a little too careless when selecting an answer. So, just keep analyzing your DS mistakes and you will continue to improve.